Jan Bieleman, Boeren in Nederland. Geschiedenis van de landbouw, 1500-2000. Amsterdam: Boom, 2008. 672 pp., €39.00, hardback, ISBN 978-90-8506-540-1. 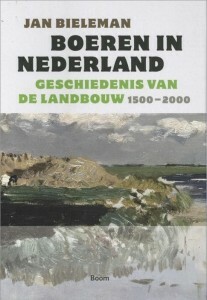 Bieleman’s book is a revised and enhanced version of his 1992 publication Geschiedenis van de landbouw in Nederland, 1500-1950. The book is intended to be a manual of Dutch agricultural history of the last five hundred years. In his original version he presented this history in three periods: 1500-1650, 1650-1850, and 1850-1950. In his new edition, Bieleman has added a fourth chapter about the last fifty years of the twentieth century entitled “Farming Becomes Agribusiness.” The preface of this new chapter contains the story of the rapid changes that Dutch agriculture has undergone thanks to mechanization and the opening of new markets as a result of the introduction of the European common market. Bieleman also includes some problems Dutch agriculture faced at the end of the twentieth century: production surpluses and environmental concerns. Whereas he ends his 1992 version with the challenges Dutch farming faced at that moment and a sketch of some new perspectives for the future of agriculture, in his new version Bieleman just ends with a brief outline of five centuries of Dutch farming. His presentation of the history of agriculture as a process of modernization neglects some interesting developments that will define the way the countryside will be structured in the twenty-first century. Apart from high-tech farms producing in bulk, there are ecologically friendly farms that raise sustainable products for consumers who criticize traditional agriculture. Other new trends are the combination of farming and tourism and of farming and care (for example mentally challenged persons). As a result of the decline of the agricultural population, farmers are no longer the main inhabitants of the countryside, and different forms of recreational farming (such as the breeding and keeping of horses) have become important. In Bieleman’s perspective, the history of agriculture is first the history of production. In his four chapters he presents the developments within the different sectors of agriculture and horticulture. We read about the growth and decline of different types of products and changes in the way farmers produce them. We do not read anything about farm life and are given only a few phrases on the trends in agricultural policy and the way farmers organized themselves. A complete manual on agricultural history is not only a history of the production, but should also be a story about the producers and their physical environment. 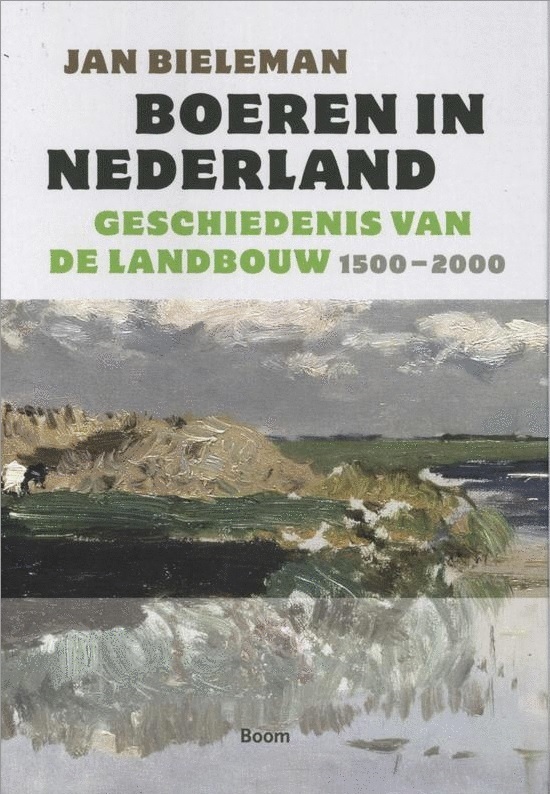 Bieleman has written an important book about agriculture in the Netherlands in the last five hundred years, but I hope that someone will write a complete history of the Dutch countryside in the future. Eerder verschenen in Agricultural History 84, no. 1 (2010), pp. 120-121.